Every landscape design needs a plant identifier. This can take many different forms – individual plants can be tagged with a text indicator, species can be identified by their symbol in a plant schedule (table) or tagged by using the leader command. 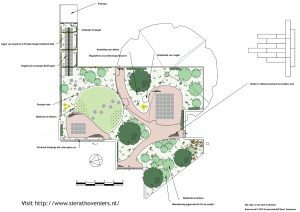 Experience has shown that labeling each plant with a leader is not helpful to the client or construction team as the drawing becomes very crowded. A better solution is to create a plant list that’s specific for the locality involved. gCADPlus uses text files to hold species data. Once the text file is attached to the design, each species symbol is tagged and a tool on the gCADPlus menu does the rest. 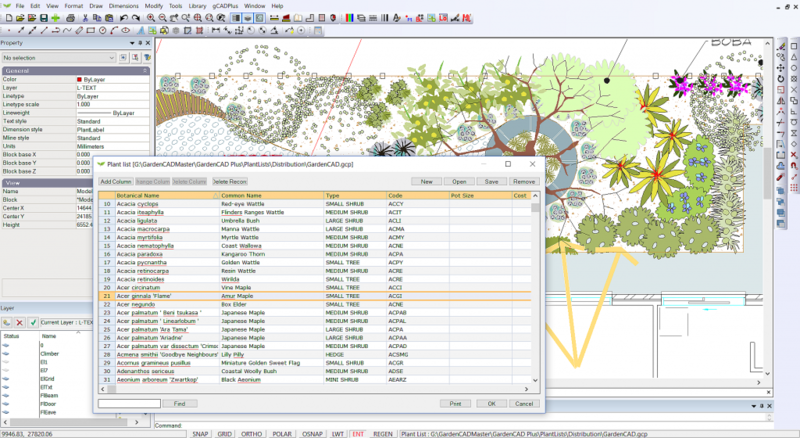 The number of each species used in the design is counted automatically and a plant schedule (species list) generated. This saves much time. Here are links to some of the plant database files delivered with gCADPlus. Each is a text file with the extension .gcp and can be viewed by attaching the file to a gCADPlus drawing or opened using a text editor or Excel.